An inspiring collection of testimonies from people of different cultures and faiths encountering Jesus. Jesus promised that he would draw people to himself from every tribe and nation. In this collection of thirteen testimonies, Naomi Reed encourages us to see that the good news of the gospel is still powerful as people are continuing to fall in love with Jesus all over the world. From such varied worldviews as Islam, Buddhism and atheism, Naomi has unearthed encouraging stories of Jesus meeting people and transforming them. Emerging from these pages is a beautiful picture of our Saviour who calls people to himself in a very personal and individual way, changing lives forever. God is visibly at work in the world. From the flat dry towns of Uganda, an airport in Singapore, a hospital in Alice Springs, the Amazon jungle, a bare hillside in the former Soviet Union to a bombed-out town in Northern Iraq, Finding Faith encourages us all to see that Jesus is passionately drawing people to himself. I cannot recommend this book highly enough. 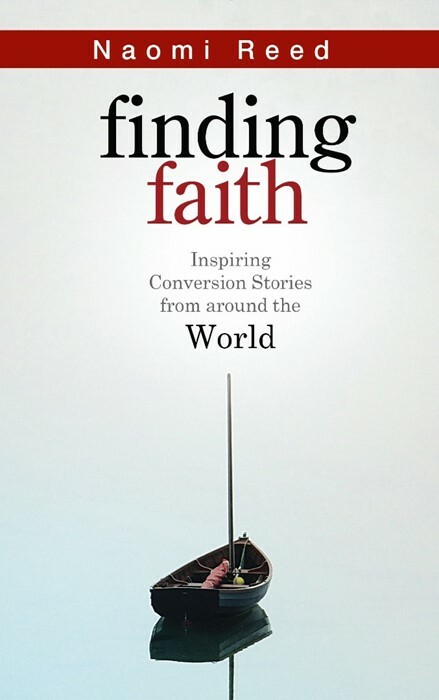 Very simple - it is a collection of stories of people finding faith from a whole variety of faith or non-faith backgrounds. It is encouraging and inspiring. In her new book, Naomi Reed shares 13 remarkable testimonies of people from other faiths and cultures who have come to know Jesus.